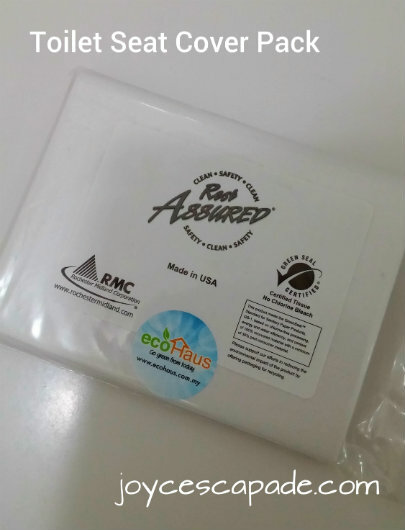 About 1.5 months ago, I was introduced to EcoHaus.com.my, a budding online distributor of green housekeeping supplies in Malaysia. Run by a mommypreneur, EcoHaus' mission is to promote the awareness for using natural and safe yet effective and affordable housekeeping products as we fulfill our social responsibility to protect our family and the environment for a better future. 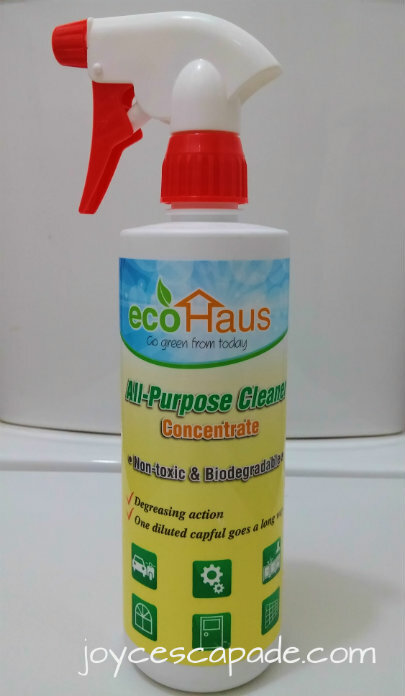 EcoHaus sources and selects eco-friendly, biodegradable, and sustainable cleaning products. These products selected are compliant with the approval of EPA (Environmental Protection Agency), USDA (United States Department of Agriculture), TSCA (Toxic Substances Control Act of 1976), Green Seal™, and EcoLogo™. I was given the privilege to test-use five of their products. 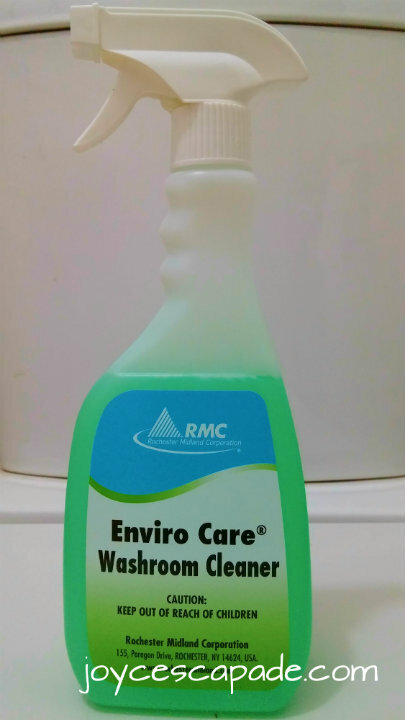 For day-to-day housekeeping, this concentrated all-purpose cleaner is perfect and safe to use on furniture, counter top, kitchen stove, oven, dining table; basically anything in the kitchen. I like! I use it mainly to clean my toddler's chair and the surrounding floor after his meal times. I also use it to clean my kitchen stove from oil and food stains after cooking. Just spray and wipe with wet cloth. Or dilute a capful in a basin of water before using. Fast and convenient! Thumbs up! My hubby uses it to as a degreaser to clean his mountain bike chain. For more info about detailed product description and how-to-use instructions, see this page. Now, this is a specialized, versatile product. Not to be confused with the concentrated all-purpose cleaner, this multi surface cleaner is best used for removing organic stains and odor on carpet, upholstery, and curtain. Also great for removing stains, hard water deposit build-up, soap scum stains in toilet, shower surface, grouting and concrete floor. 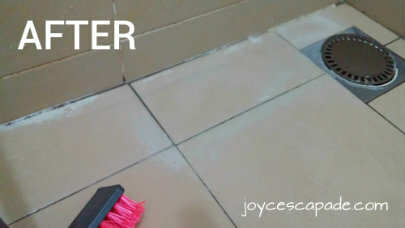 See below to compare the before and after photos of my toilet floor. As the name suggests, this product is used mainly in the toilet – basin, wall, floor, toilet bowl, etc – for day-to-day or weekly cleaning. 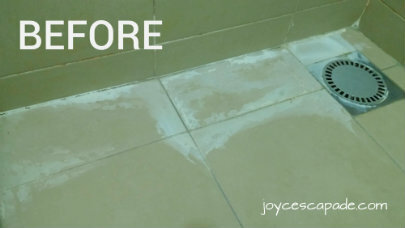 Good to use together with the Multi Surface Cleaner in point #2 if you want. 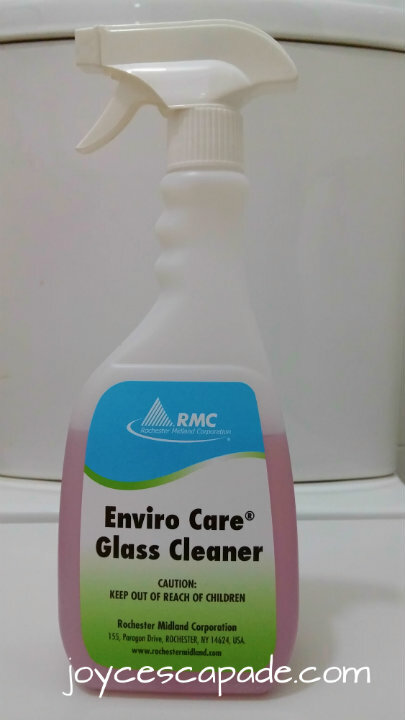 As the name suggests, this product is used to clean glass. 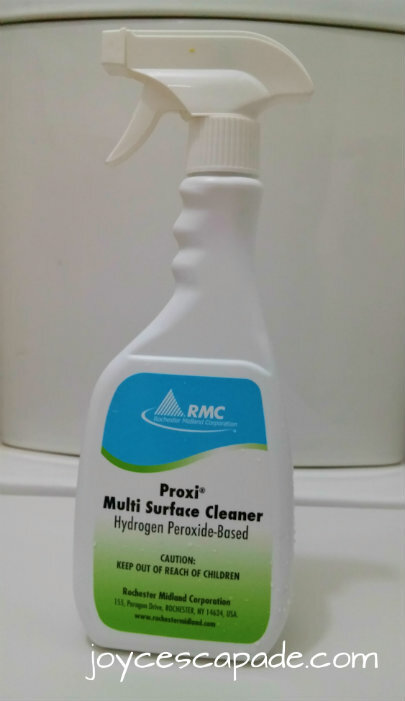 This solution leaves windows, mirrors, formica, ceramic tile, and all other polished surfaces squeaky clean, free of streak, and hard water deposits. This product is a life-saver. 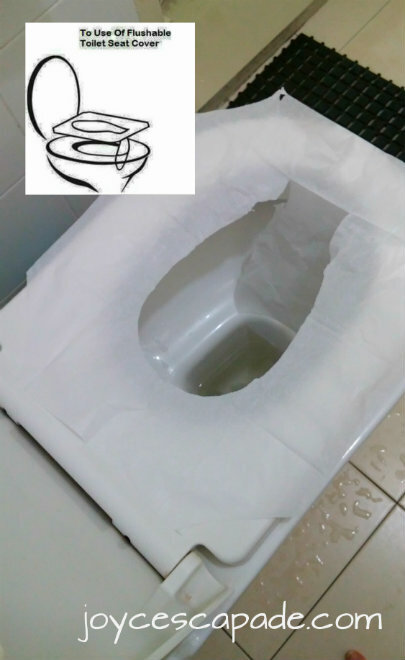 Before I use this product, I always have to waste lots of toilet paper by layering them on the toilet seat (public toilet) before I sit down. Now, I just need to take out one toilet seat cover, lay it down on the seat, and do my business in peace. Thank you for this! It can be flushed down the toilet too! Thanks EcoHaus for collaborating with me for this post and for these useful green housekeeping products. EcoHaus.com.my is listed on Featured Mommypreneurs on joycescapade.com.